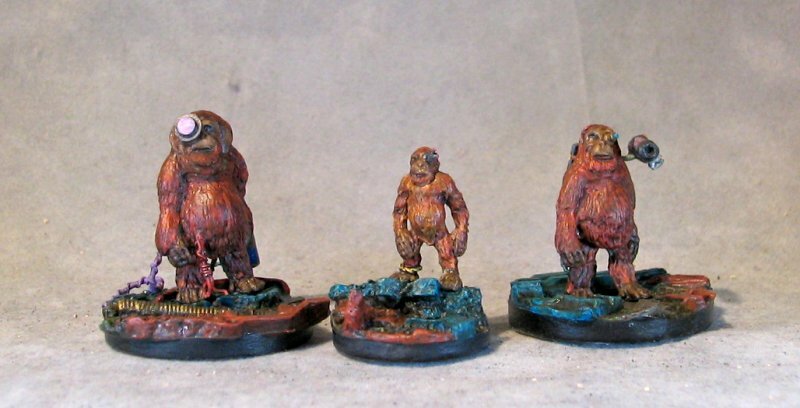 Long ago I got these Orangutans from Black Cat Bases. My first thought was converting them to some Jokaero even though I really don't play 40K anymore. The Rogue Trader superintelligent space monkeys were one of the cool lost concepts from the Rogue trader book that always intrigued me. They turned out OK, but I was always a little unhappy with the bases. 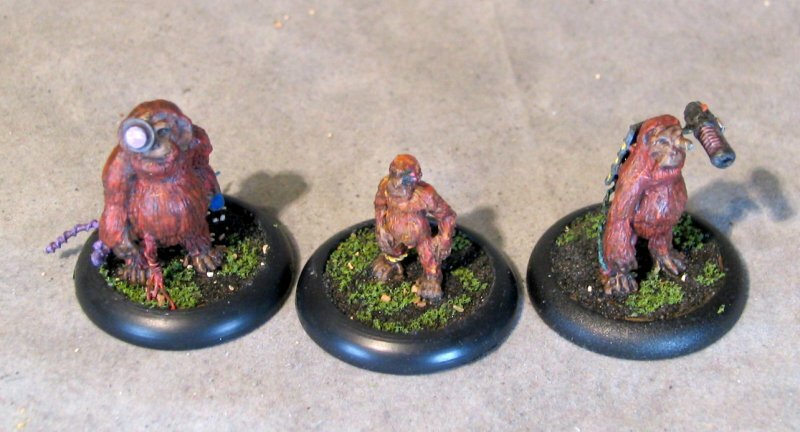 Blacktop with a little grass is fine for a lot of minis, but it seemed a little- bleh - for these techno-apes. I wanted something more techy but didn't want to spend a lot of time putting something together with bits. 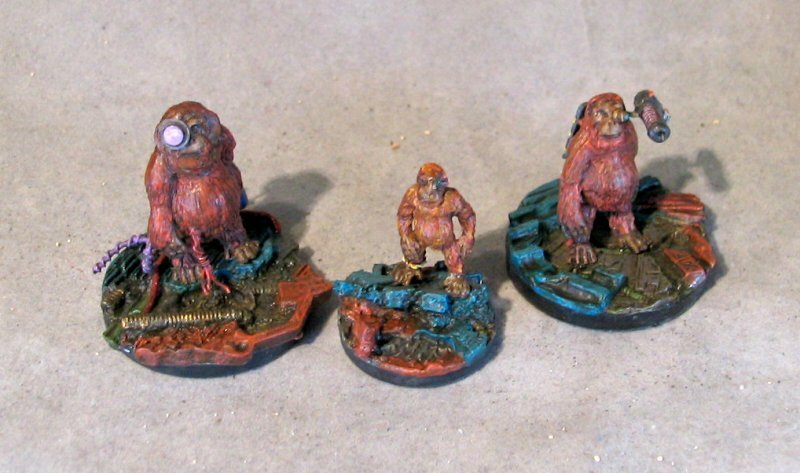 Then there was the Coolminiornot/Micro Art Studios Kickstarter for plastic versions of the Micro Art resin bases! One set provided me with the good techy/debris bases that would make the Jokaero family group seem more complete to me. The juvenile went onto a 25mm base because he is smaller than the parents. The female,with her gangsta-style remote blaster hold, went onto a 30mm base. 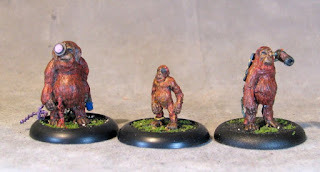 Finally, the big guy also went on a 30mm base. The Jokaero Family bases are in the same style as the Dysprosian Brotherhood, so I guess they can fit into that growing Warband nicely.